Ever since the roulette wheel was, many people, from scientist to fanatical gamblers, have tried to do an analysis of the game. Many have tried to develop a set system for winning at roulette. One such way of winning at the game is visual ballistics. This method has gained great popularity in recent years. It is all about visually determining the place on the wheel where the ball is most likely to land. This idea might seem to be an unlikely proposition. However, it is interesting to know that it actually does work sometimes for some players. Having said that, this method is most likely to produce better results on older wheels than the new ones. This is because old machines are more likely to have certain characteristics and imperfections that diminish the “random” factor and make the game a little more predictable. This is where visual ballistics meets wheel bias, though they can be considered two different approaches to the game. Originally, roulette was developed by a French mathematician, Pascal Blaise in 1647. Interestingly, he did not develop the method to use it in gambling. He developed it during and experiment on perpetual motion devices. His invention was based on the mathematical field, probability. It is indeed probability that determines the pay-outs in casinos. Because of this mathematical nature of roulette, it is theoretically not possible at all to achieve an absolute certainty of win. Roulette always involves a risk factor. Even if your think that you are a “master” of visual ballistic, there is always a great chance that you might lose. Before you want to know how to use visual ballistics during roulette games, it is essential that you first understand what visual ballistics actually is. To put it in simple terms, it is just another strategy that makes use of the physics of the roulette game rather that the probability of winning it. It is similar to dealer’s signature of a wheel bias. The difference lies in the fact that you try to predict the winning number when the ball will stop spinning. However, it does not use the imperfections of the wheel of roulette known as “roulette wheel bias”. Neither does it use the predictability of the ball spin of the dealer, often called dealer’s signature. In this method, the player actually tries to use eyesight and visual information like the trajectory of the ball in order to predict the number on which it should land on. 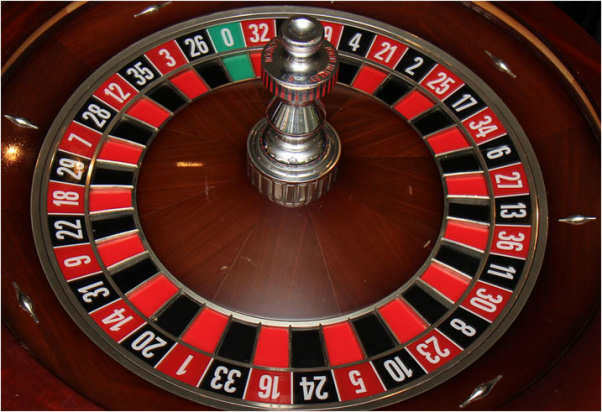 It is possible for the players to use the method because until the ball has been released, the final bets of the roulette are not actually called. So, a player does actually have a chance of predicting where the ball will land. For using visual ballistics, or VB, the players have to use the velocity and trajectory of the ball in order to predict the most likely outcome. Just like all other roulette techniques and strategies, this method also has its own set of disadvantages. Also, as with all other techniques and strategies of roulette, there is possibility of winning the game by using visual ballistics and making proper observations and calculations. Unfortunately, for normal players, it is very difficult to actually apply the method successfully. Also, casinos always try to eliminate any sort of advantage that any player has while playing other casinos. When it comes to roulette, they seem much less concerned about roulette players predicting the outcome of the game by using visual ballistics or any other strategy. The idea of visual ballistic lies in the gambler making mental calculations to win the game. The calculation involves comparing the speed of rotation of the wheel and the velocity of the launch of ball along with its reference point. Theoretically, this method might seem to be very effective. In real situations, it is a completely different story. The most difficult part lies in calculating the number of times the wheel spins and simultaneously counting the number of times the ball spins. A thing that is certainly helpful for the process of visual ballistic is the skill known as rhythm counting (see also dealer’s signature). An expert in rhythm counting can use it to beat the roulette game. An example of rhythm counting that can be used for visual ballistics is tapping the wheel spins with one foot while tapping wheel spin out with another. It takes an extremely talented man to use rhythm counting with visual ballistics to beat the game. It is indeed something that a normal man would take a really long time to master. In rhythm counting, you actually determine the speed of the wheel from the how far it moves over a specific period of time, which must be equal to that of your count. Some people use a special box, which has a built in electronic. This creates a vibration rhythm which helps in practicing the number of wheel movements over a set of time that is equal to that of vibrations. Visual ballistics is easier said than done. Unless you are an extremely talented man, you won’t be able to master the process of visual ballistics in quick time. It specifically involves using your eyesight for observing the rotations of the wheel and the ball. It takes a great deal of concentration to properly observe the movements. Not only that, you also have to simultaneously do some calculations in your mind. You have no pen or paper to aid you. Moreover, you have very little time to do all these things. You have to start observing and calculating from the time the ball is thrown till the time the ball just lands. Other distractions at the casino do not help your casino. You will not be able to concentrate properly even with slightest distractions, and casinos are full of distractions. No matter how difficult the process is, it is not actually impossible. But you would not want to give so much of effort if you are a casual gambler. So, unless you have the intention of becoming a serious roulette professional, it is better not to try to beat the casino with visual ballistics. Roulette is theoretically and in most cases practically a purely random game, and its unpredictability is the only sure thing about it. You should rather enjoy the game than waste so much of mental energy. In modern roulette wheels it is impossible to predict the outcome of roulette. Physics, visual ballistics, advantage play or even roulette computers can not account ball scatter. I know you’d like to believe that it is possible to predict roulette by observation or “physics”. But you must avoid wishful thinking and start looking for other methods. “Advantage play” methods are not only ineffective. They can also ban you from the casinos. Don’t get banned for life trying a stupid visual method or computer. It’s simply not worth it. Look at this roulette spin footage and think: Can the initial conditions of the spin predict the deceleration rate and scatter of the ball? And if it was possible, why aren’t the casinos decimated by so called advantage players? The slightest change in the wheel speed the ball speed or ball spin or the deceleration rate can produce unpredictable results. Not to mention the number pocket frets, that can totally change the direction of the ball. The ball “walks and jumps” over 20 numbers on the roulette wheel AFTER it has fallen. Try to predict this! In old types of wheels with a heavy ball and consistent dealer signature advantage play might have worked. But modern wheels and casino safety measures make “advantage play” ineffective. Sorry.